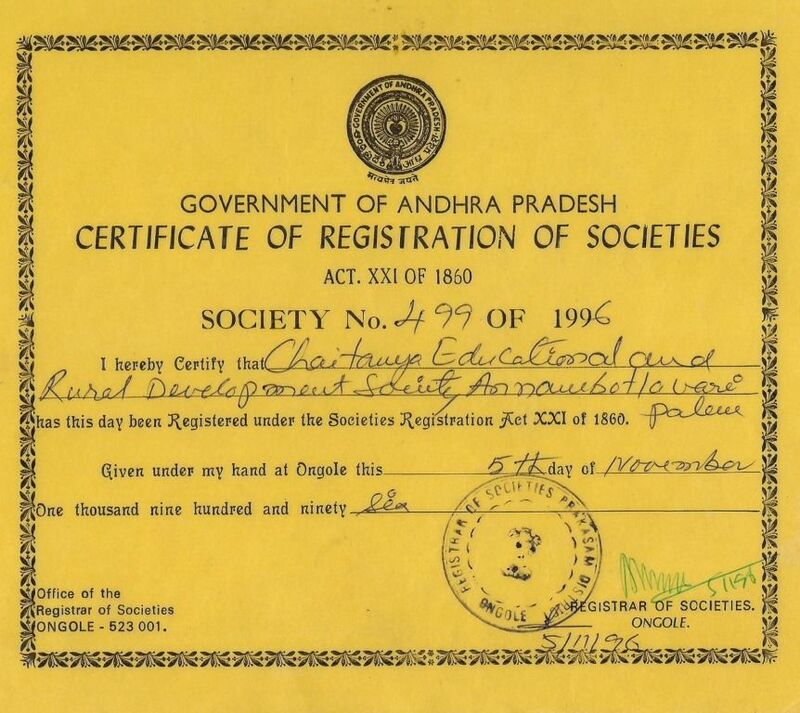 Chaitanya Educational and Rural Development Society (CERDS) was established in 1996 by a group of rural natives interested in the field of humanitarian and rural development services. It was registered as Society under Indian Societies Registration Act XXI of 1860. 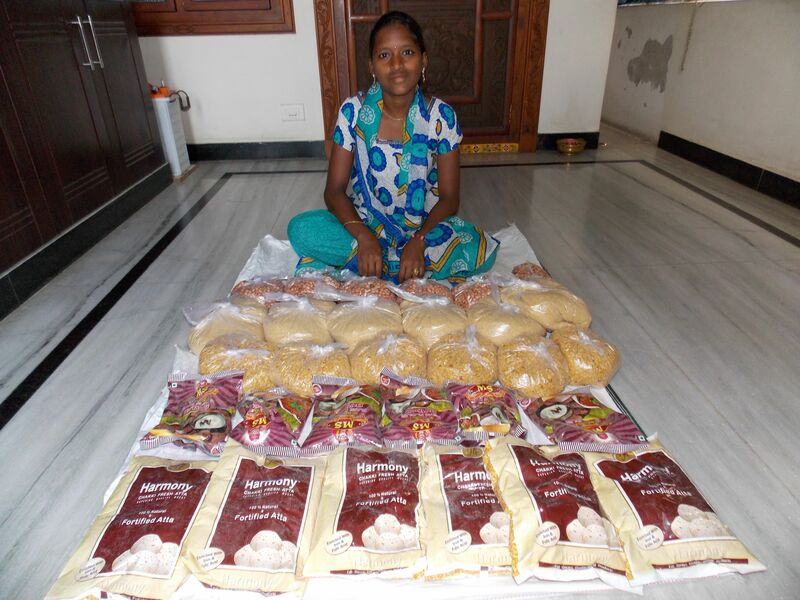 CERDS was created to work exclusively in the dry-land and coastal regions of Prakasam and Guntur Districts of Andhra Pradesh, to help poor communities to overcome the affects of poverty and create new futures for themselves and their communities. It has been an uphill battle for CERDS, confronting and surmounting the social, economic and political realities within which the NGO sector is operating. However, given these limitations, CERDS has been attempting to explore various possibilities, in becoming more relevant to the needs of the disadvantaged poor in Prakasam and Guntur Districts. Received "Dr.A.P.J ABDUL KALAM AWARD" and "THE BEST INDIAN GOLDEN PERSONALITY AWARD" by Friendship Forum, New Delhi on 20.03.2018. 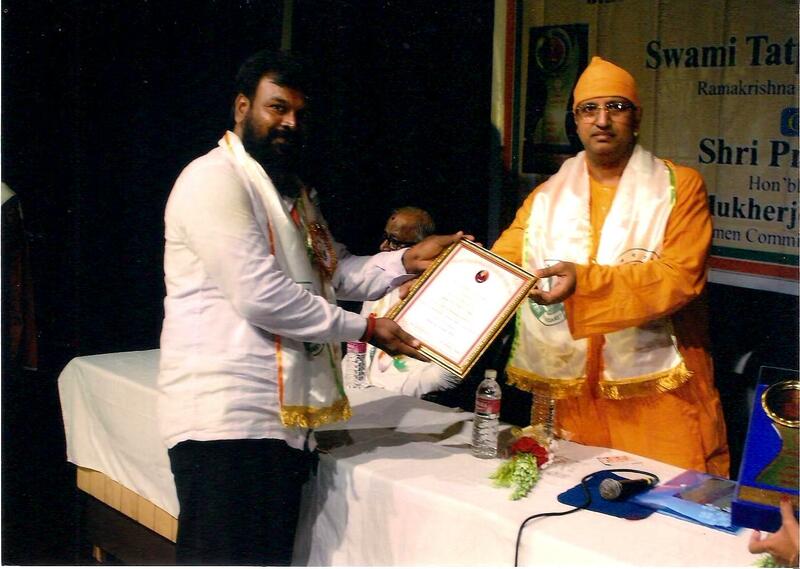 Mr. N.Srinivasa Rao, Executive Secretary received "Book of Records-2016 Award & Meritorious Service Award with Gold Medal"
Mr. N.Srinivasa Rao, Executive Secretary received "Swami Vivekanda and Sister Margaret Award"
Awarded by Sister Margaret Foundation, Kolkata on 01.07.2016. Mr. N.Srinivasa Rao, Executive Secretary received "The Best Citizen of India"
Mr. N.Srinivasa Rao, Executive Secretary received "Rashtra Vibhushan Award". Mr. N.Srinivasa Rao, Executive Secretary received "NGO Excellence Award". Awarded by the Mahez NGO, Dharwad in NGO’s National Conference – 2014 at Goa on 28.05.2014. Mr. N.Srinivasa Rao, Executive Secretary received "Indira Gandhi Excellence Award". Mr. N.Srinivasa Rao, Executive Secretary received "Honorary Doctorate & Lifetime Achievement Award". Mr. N.Srinivasa Rao, Executive Secretary received "Mother Teresa Excellence Award"
Mr.N.Srinivasa Rao, Executive Secretary received "Bharath Vikas Rathan Award". Mr. N.Srinivasa Rao, Executive Secretary received "Glory of India Award with Gold Medal"
CERDS helps people in sustain themselves to overcome their socioeconomic problems by including them in the problem for overcoming the obstacles for sustained development and by inculcating attitudes for change. CERDS trusts that the development of India mainly depended on the rural areas progressiveness and any effort to promote Educational and Rural Development strengthens the Rural areas in turn Nation. CERDS approach assists whole communities develop the capacity to overcome the affects of poverty and create a new future. CERDS believe that promotion of sustainable and self-reliant communities is possible, when the poor themselves are the initiators in resolving the problems of poverty. CERDS use a development process that intimately involves the poor themselves in their own development. We call it the Participatory Community Development Process (PCDP). PCDP is a participatory, non-violent process of problem solving, consciousness-raising and empowering the poor. 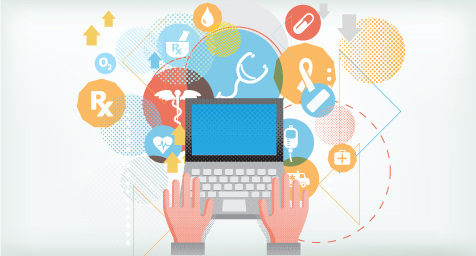 CERDS approach mobilizes people to act and solve their problems. It has proven to be an effective method of resolving problems or issues such as poor community health, clean water supplies, food security, inadequate sanitation, absence of schools for children, barriers of farming communities, lack of ideas on optional livelihoods and the lack of basic public services.This approach of working with people from poor communities equips them with the necessary skills, knowledge and appropriate values and attitudes to act and manage their own development. It catalyzes the emergence of alternative structures and systems (i.e. cooperatives, people’s organizations) which become instruments of the people to effectively and collectively assert protect and contend for their own interests. 1. To educate people and make them conscious and concerned about self-reliance, social justice and co-operation, so that they may be prepared and equipped to work out for themselves and for others and keeping in further with their own human dignity and destiny. 2. To help, devise schemes and projects and help to execute them which will assist the country towards elimination of poverty and misery. 3. To promote all types of activities that are aimed at the integral development of persons and communities. 4. To channelize the energies of our people towards constructive national work in the social, educational and cultural fields in co-operation with Government wherever feasible. 5. To defuse useful knowledge such as social, spiritual and economical life of the country and the children become good citizens of the country. 6. To study and conduct Research on Social, Civic, Arts, Literature, Science, Cultural, economic aspects of the Rural Communities and promote them. "CERDS” was promoted by a team of rural natives interested in the field of social and rural development services. The organisation was started with a greater aim of “promoting sustainable self-reliance village communities through changing the attitudes among the public”. To attain this task, right from the inception, organisation is working in a different way following a unique approach i.e., promoting and working with community organisations according to the identified felt-needs of the communities. 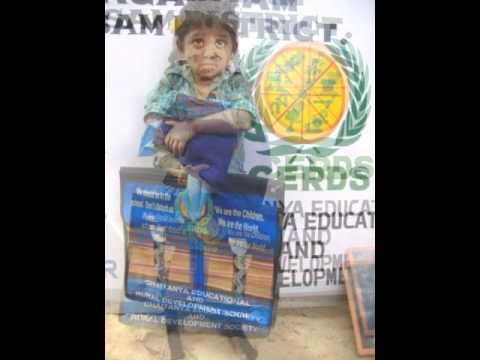 At present CERDS is working in 95 needy and deserving communities in Prakasam and Guntur Districts of Andhra Pradesh. ► As part of declining the strength of child labour in target areas, about 1,250 children belonging to underprivileged sections i.e., very poor, HIV/AIDS infected, orphans/semi-orphans, physically challenged and fire victims have been provided primary educational supplies i.e., school uniform, bags, study and sports material, tuition fee and dining material. ► About 82 kids belonging to very poor tribal communities in sea-coastal villages have been provided education and nutrition support by the established 2 child education centres. ► About 12,000 families and 55,000 populations belonging tribal and other vulnerable communities in the sea-coastal villages of Prakasam and Guntur Districts have been ensured safe drinking water facilities by installing about 600 drinking water bore wells so far. 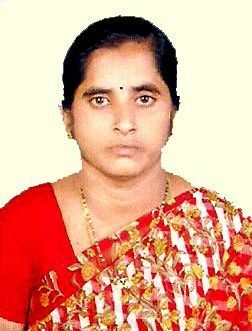 ► In year 2009, as pilot project, with the support of Rotary Foundation, initiated a Reverse Osmosis plant in Suravarapupalle village, Prakasam District and providing safe drinking water to about 800 most disadvantaged families. ► As part of promotion of health and hygiene practices, sanitary toilet facilities have been constructed for the benefit of 83 disabled and 67 disadvantaged rural poor families. These toilet facilities have been supported either fully or partly by organization. 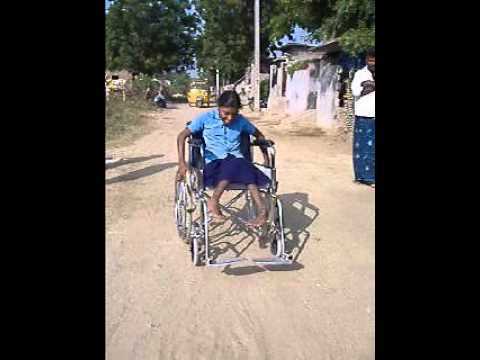 ► 8 disabled children had been supported wheel chairs so far to cater their mobilization needs. 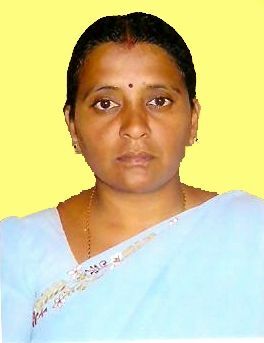 ► 105 widows have been supported livelihood units’ i.e, Milch Animals, Sewing Machines, Petty Shops etc., for their self sustenance. ► 140 adolescents have been trained in skill trades i.e, computer skills, tailoring and embroidery. 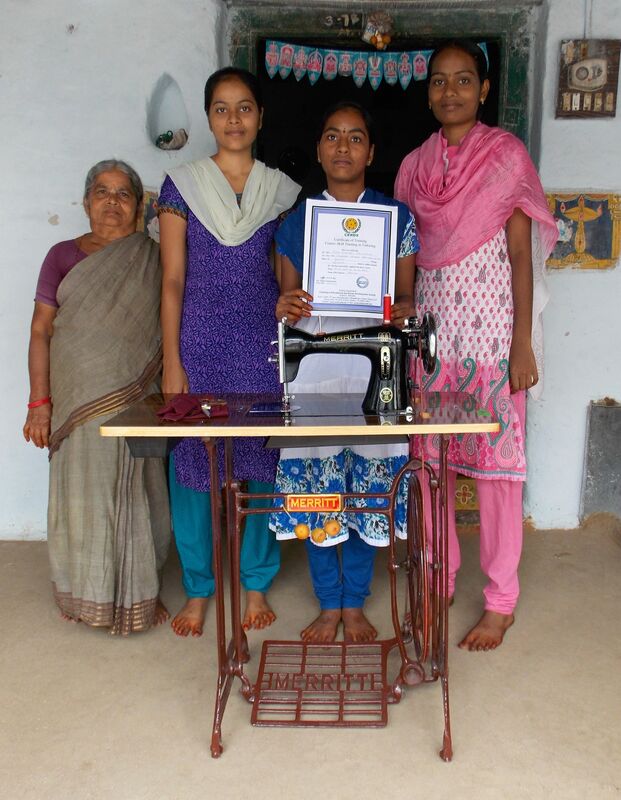 Tailoring and embroidery trainees have been granted sewing machines to start earnings on their own. ► 75 fishermen families have been supported fishing nets for improving their present livelihood opportunities. ► 60 Farmers’ Clubs have been launched so far in 60 villages with the support of NABARD in Guntur District for promoting sustainable agricultural practices and about 600 farmers have been sensitised on sustainable agricultural practices by farmers’ training programmes. ► About 250 HIV/Aids infected people have been received Nutrition Kits for strengthening their immune system and meet basic food security. ► About 3,000 patients have been received health and medical support by health awareness and medical camps so far. ► During Tsunami-2004 and Floods-2007, CERDS had initiated relief activities and supported food, health and medical services in total 5 villages by its relief camps. ► Promotion of 50 Sustainable and Self-reliant rural communities. ► Establishment of Rural School in Healthy atmosphere with International standards to avail the quality of education to rural children. ► Eradication of Child labour in 50 Communities. ► Accessibility of Potable water facilities in all 50 targeted Communities through Water Treatment Plants. ► Secured Shelters to all families in all 50 targeted Communities. ► Eco-friendly Sanitary Facilities to all families/ disabled in all 50 targeted Communities. 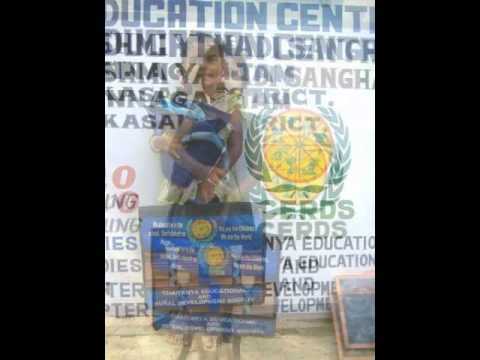 ► Vocational Skill Training support to 250 Rural adolescents. ► Establishment of a Permanent Vocational Skill Training Centre in rural area to train the rural youth / adolescents on upgraded job oriented skill technologies. ► Establishment of Senior Citizens home for Orphans. ► Establishment of Soil, Water Quality and input testing centre for the benefit of farmers. ► Make the all farmers in all 50 targeted villages to adopt IPM / IDM practices and cultivate crops in organic methods. ► Establishment of Rural godowns to provide storage facilities to agriculture products of the farmers. Indian donors can donate directly to our Non-Foreign Contributions Bank account (or) through GiveIndia and can get tax exemption benefit for their donations since Chaitanya Educational and Rural Development Society was officially registered under Indian Societies Registration Act XXI of 1860 and granted 80G tax exemption facility by Income Tax Department, Government of India. The UK/USA donors can get tax benefits by donating through GiveIndia (or) Give Foundation Inc., USA / UK since Chaitanya Educational and Rural Development Society was listed as a member in above two platforms and granted FCRA by Ministry of Home Affairs, Government of India. Donors from abroad can also donate directly to our Foreign Contributions Bank Account and inform purpose of donation through our mail cerdsindia@gmail.com. Chaitanya Educational and Rural Development Society (CERDS) has instituted a donation refund policy to ensure fair and transparent processing of requests for refund of donations. 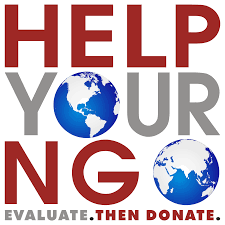 Chaitanya Educational and Rural Development Society (CERDS) expects that all donors will exercise due care and diligence while making donations. Chaitanya Educational and Rural Development Society (CERDS) also recognizes that a donation may be made erroneously. Chaitanya Educational and Rural Development Society (CERDS) will examine request for refund of donation and endeavor to make the refund. It will require further verification of the user and need documents of proof as well as for donation. Chaitanya Educational and Rural Development Society (CERDS) is not obliged to make refunds and may, in its discretion, decline any requests for refund of donations, particularly if a tax exemption certificate has been issued. If you would like your donation to be refunded, please contact us within 3 working days of making the donation.